These are reactions to a radical new book design from Visual Editions, a UK based publisher with a new take on the reading experience. 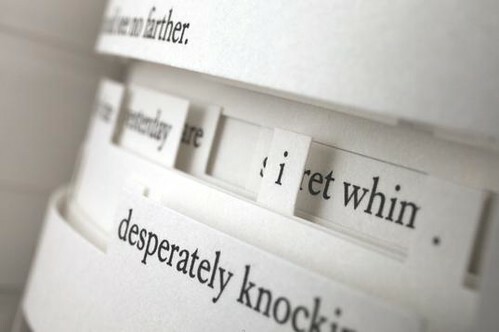 The book is “Tree of Codes” and it’s author Jonathan Safran Foer’s experiment to cut-in, using die-cuts to his favorite book, “The Street of Crocodiles” by Bruno Schultz. An amazing company, Die Keure in Belgium made it happen. Here’s a page from the book.